Delicioso. April 2017. 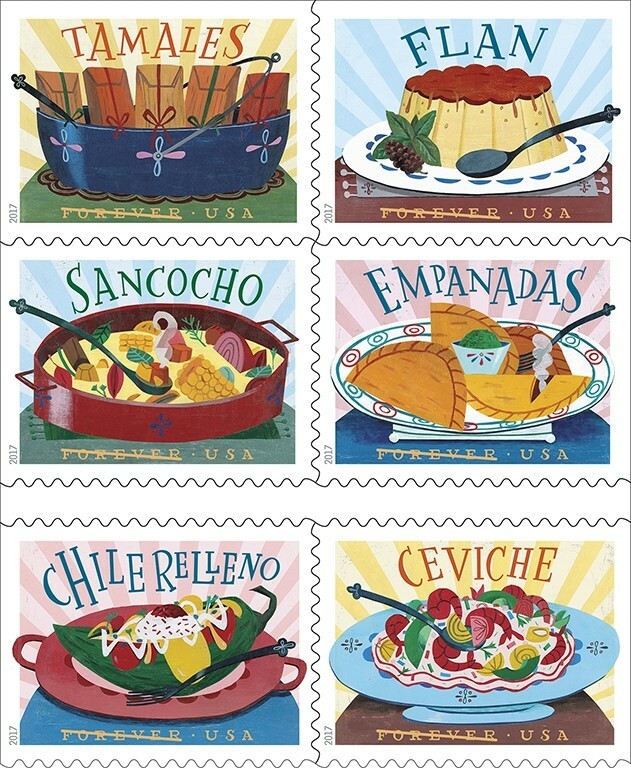 U.S. Post Offices six new 2017 Forever Stamps titled: Delicioso, with art images celebrating Latino food cuisine.